Trophies come in many sizes, colors and choices for top figures. We also have a top figure that we can customize with clipart. 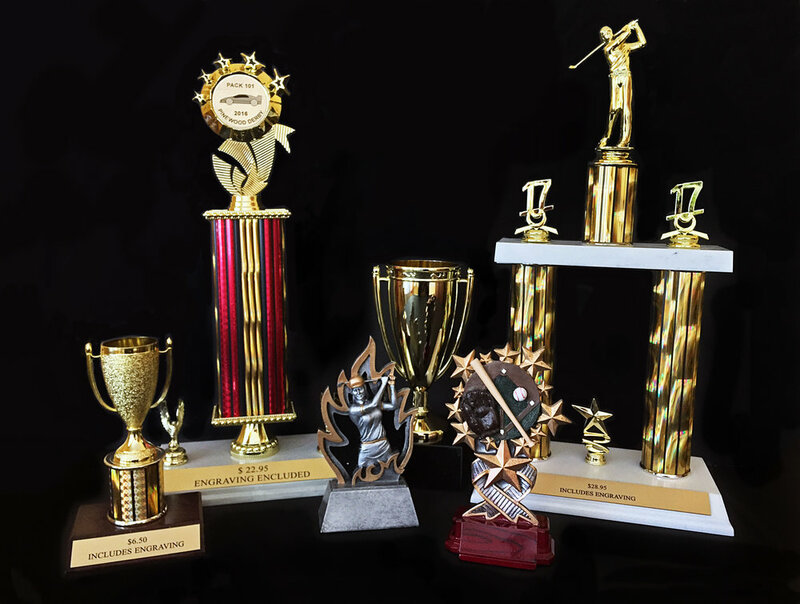 Please give us a call at 515-232-9980 to assist you with your trophy needs.